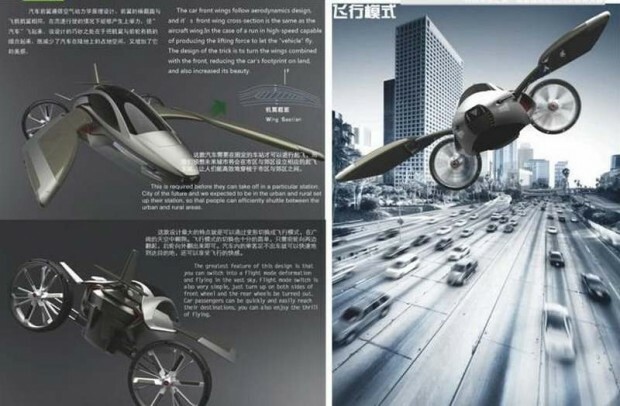 YEE is an ingenious vehicle that is capable of transforming into a flying machine instantly. Simply by upturning the front wheels sideways and rear wheels to the outside back, this interesting concept vehicle would take you away from a hectic traffic jam. The concept car has been envisioned to be powered by solar panels spread over its roof. 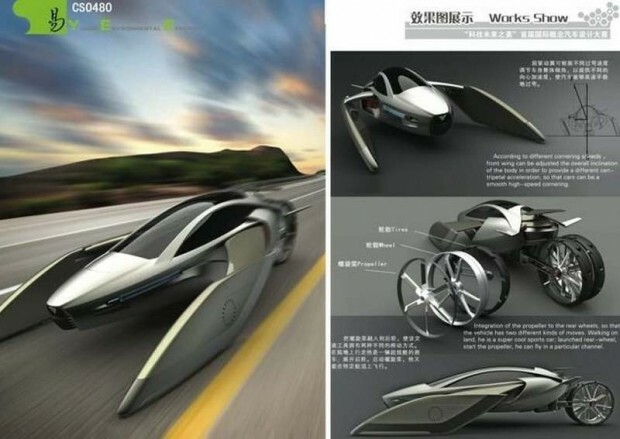 Three Chinese students from South China University of Technology(SCUT), Jiazhe Pan, Lai and Zhu Wenxi Zexin devised the concept YEE, a flying car, simply. 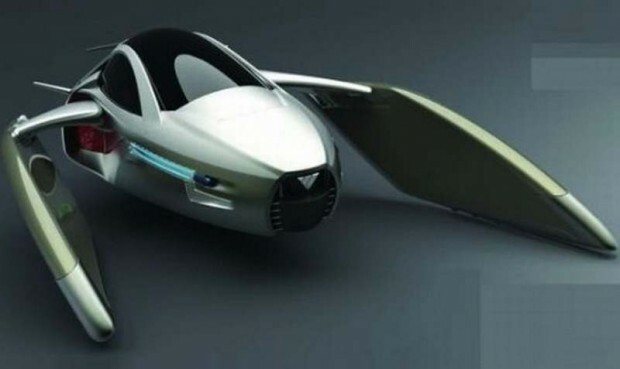 They have created a concept car that can evolve on land and in the air. For land mode, the wings are folded down and through the small wheels at their ends. Note the flying car has only two “real “ rear wheels. Although the concept YEE has won the “Gold Award for Best Creative Future ” in Beijing, it is obviously impossible to achieve as presented in the current state of our technologies.